For less than $3.00! Build without tools! Sound incredible? 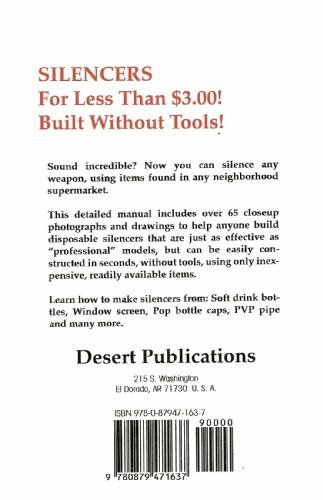 Now you can silence any weapon, using items found in any neighborhood supermarket. 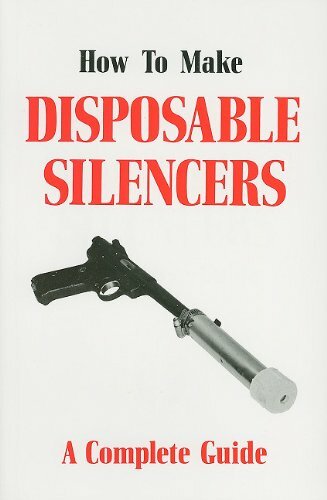 This detailed manual includes over 65 close-up photographs and drawings to help anyone build disposable silencers that are just as effective as professional models, but can be easily constructed in seconds, without the use of tools, using only inexpensive, readily available items. Items such as: soft drink bottles, window screen, pop bottle caps, PVC pipe, and many more! You wont be able to find this information anywhere else, so order today! NOW EXPANDED TO VOLUME II. 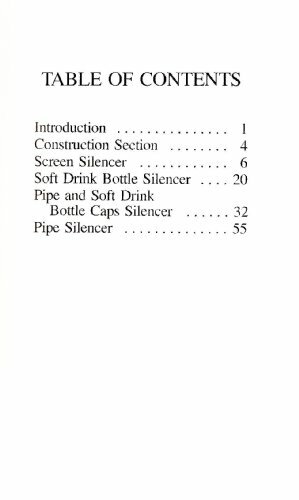 Volume 1, 79 pp., Volume 2, 109 pp. both photo illustrated, 8 x5 , soft cover.